Governor Earl Ray Tomblin has issued a state of emergency and West Virginia American Water is telling more than 100,000 customers (about 300,000 people) in Boone, Cabell, Clay, Jackson, Kanawha, Lincoln, Logan, Putnam, and Roane counties NOT to ingest, cook, bathe, wash or boil water. Water in this coverage area is okayed ONLY for flushing and fire protection. The advisory comes as a result of a chemical spill of 4-Methylcyclohexane Methanol from Freedom Industries, Inc.
At a Sunday afternoon press conference Governor Tomblin said there is "light at the end of the tunnel" as he was joined by other state officials and West Virginia American Water President Jeff McIntyre. McIntyre indicated that water will be returned soon to those affected and testing of water samples were headed in the right direction. The company is setting up a website and automated phone calls to let residents know when their designated zone is approved for the flushing process. Some restaurants, bars, and other businesses have also been allowed to begin reopening after applying for conditional approval through the Kanawha-Charleston Health Department. At a press conference Saturday night, Col. Greg Grant of the National Guard said the amount of chemical present is trending downward with each test, but must be consistently below 1 part per million for a 24 hour period before West Virginia American Water can begin to flush their piping system. Grant said his teams would collect more than 100 samples overnight from the treatment plant and throughout the system to increase the data set and give them more accurate information. “These individual samples are like a puzzle piece. We have a bunch of puzzle pieces, but we don’t have the picture yet,” added West Virginia American Water President Jeff McIntyre. An outside contractor has been hired to help expedite the testing process of these samples, a process they’ve narrowed down from 46 to 18 minutes. McIntyre said it will still likely take days to flush the system even if they have the proper data set Sunday, but customers should not start flushing their own plumbing now. Reporters around the Kanawha Valley say West Virginia American Water continues to test the water for safety reasons. Still no conclusive results. From @wvamwater spokesperson: still NO timeline on when water will be safe. After consulting experts in the field of toxicology, West Virginia Department of Agriculture state veterinarian Dr. Jewell Plumley said late Thursday evening that at this time there are no known associated risks to livestock that may have been exposed to potentially contaminated water from a chemical leak that impacted the West Virginia American Water plant in Charleston. The Associated Press reports that the effects of the chemical spill are far-reaching around the Kanawha Valley and surrounding areas. Restaurants are closed, children are staying home from school and state lawmakers have suspended their just-begun session. Officials say they're still trying to determine the extent of any possible contamination from the spill. UPDATE: White House has approved my request for federal emergency declaration to assist w/situation in affected areas. "Officials will continue to work to obtain the water throughout tonight. Emergency Officials will meet at 6:00 a.m. to assess the amount of water that has been received or is being received and will then release information as to the location of the distribution centers for the public." The West Virginia National Guard just confirmed that two drinking water distribution centers are now open. Boone Co. at 1267 Smoot Ave. in Danville. Tomblin also noted in a news release that residents served by Lincoln PSD, Queen Shoals PSD, Reamer PSD, City of Culloden PSD, and City of Hurricane PSD are also affected by the advisory. "West Virginians in the affected service areas are urged NOT to use tap water for drinking, cooking, washing or bathing," Gov. Tomblin said. "Right now, our priorities are our hospitals, nursing homes, and schools. I've been working with our National Guard and Office of Emergency Services in an effort to provide water and supplies through the county emergency services offices as quickly as possible." West Virginia American Water has released the following map to illustrate the areas affected by the water advisory. The areas shaded blue inside the red circle are currently under the advisory. West Virginia American Water now says Culloden in Cabell County has been added to the list of areas affected by the DO NOT USE water advisory. Just received notification from West Virginia American Water that Culloden is affected by the Water Emergency. Please share with others. West Virginia Department of Health and Human Resources Cabinet Secretary Karen L. Bowling has clarified that if residents have consumed the water late this afternoon and are experiencing severe symptoms to contact the poison center at 1-800-222-1222. Severe symptoms include: severe burning in throat, severe eye irritation, non-stop vomiting, trouble breathing or severe skin irritation such as skin blistering. West Virginia American Water has expanded the areas affected by the water advisory to Logan, Roane, and Clay counties. Larry Messina of the Department of Military Affairs and Public Safety says fresh drinking water will be distributed to county emergency services offices and then distributed to the public from there. The Associated Press reports that Governor Tomblin has issued a state of emergency for all 5 counties effected by chemical spill into the Elk River. 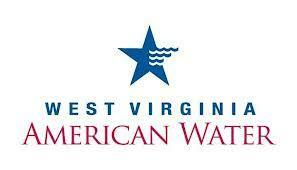 West Virginia American Water released the following statement at 6:20 p.m. Thursday, January 9. CUSTOMERS IN THE KANAWHA VALLEY WATER SYSTEM are instructed to DO NOT USE THEIR TAP WATER UNTIL FURTHER NOTICE. Today, a chemical spill occurred along the Elk River, causing contamination in the Kanawha Valley water system. The entire Kanawha Valley water system is affected, including parts of Kanawha, Boone, Putnam, Jackson, Lincoln and Clay counties. There is a probability that your water is contaminated. Testing has not occurred to confirm or deny the presence of contamination in your water. DO NOT USE THE WATER. Due to the nature of the contamination, it is not safe to use the water for any purpose. Alternative sources of water should be used for all purposes. Bottled water or water from another, safe source should be used for drinking, making ice, brushing teeth, washing dishes, bathing, food and baby formula preparation and all other purposes until further notice. EMERGENCY: Do NOT use tap water for drinking, cooking, washing or bathing in Boone, Lincoln, Kanawha, Jackson, Putnam counties. Through a news release, the Kanawha County Commission Emergency Management says a product leak of 4-Methylcyclohexane Methanol at Freedom Industries on Barlow Dr. is responsible for the contamination of the local water supply. BREAKING: Head of Kanawha health dept. says ALL restaurants/bars in Kanawha and Putnam should shut down NOW because of water contamination. No more water at the East end Rite Aid. For four days, more than 300,000 West Virginia American Water customers in West Virginia have been told not to ingest, cook, bathe, wash or boil water. Why? A chemical spill Thursday of 4-Methylcyclohexane Methanol from Freedom Industries in Charleston. On Friday, we asked five questions about the spill. Since then, we have found some answers, and even more questions. 1. How harmful is this chemical to drink or breathe? Be sure to follow @wvpublicnews for continuing coverage.